Michael Tse Eyes Signing With Johnnie To? After a whirlwind career as Laughing Gor in the last four years, Michael Tse (謝天華) is more than ready to tackle new challenges in his acting career. According to several sources, Michael, who has been managed by TVB in the last decade, will not be renewing his management contract this year when it expires in July. As reported by Apple Daily, Michael is eager to launch a more financially rewarding career in mainland China and believes that renewing his contract with TVB will hinder the expansion. The source also stated that Michael is willing to work with TVB again if the station agrees to sign him under a per-series contract for at least $50,000 HKD per episode. According to the report, Michael is doubtful that TVB will fulfill this promise. It has also been rumored that Michael, whose stardom grew after his award-winning portrayal of Laughing Gor in 2009’s E.U. 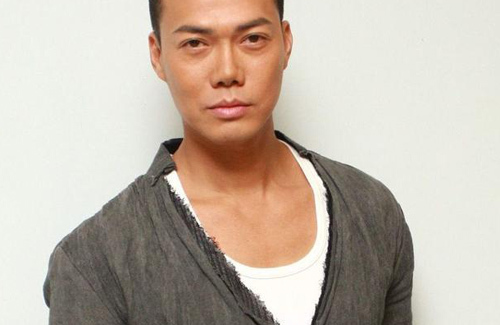 <學警狙擊>, has been bitter with TVB after he lost out the TV King throne to Kevin Cheng (鄭嘉穎) in 2011. Michael also failed to win a Best Actor nomination last year despite earning favorable reviews for his performance in the popular TVB drama L’Escargot <缺宅男女> which, according to the rumors, further cemented his decision to leave the station. 17 comments to Michael Tse Eyes Signing With Johnnie To? After his Laughing Gor reign in TVB, the next big production he’s in is Sniper Standoff. Even then, I feel like he’ll be overshadowed by his costars Eddie Cheung, Kathy Chow, and the SDU crew. Sad to say that I always just saw him as a “filler” first line actor in TVB. Hope his career will get better else where if he decides to leave. He deserves something better than TVB. They have taken him for granted for a very long time. He won’t ever get a chance to improve if he doesn’t leave and find a great director or movie part. Wish him the best, even though it probably means I wont be able to watch his stuff anymore cause mainland productions rarely get English subs. i don’t think tvb has taken him for granted. he has a lot of lead roles in the past few years and movies. why do you think tvb has taken him for granted? A lot of lead roles? Name me one that he’d been given with the idea of allowing him to improve and shine and cement his position? Going further back, Laughing is not his only memorable character in the past ten years, but TVB didn’t really acknowledge or follow up on the splashes he made with his buck-tooth lawyer and Jeen Man. Even Laughing, who became quite the phenomenon and surely made TVB quite a bit of money, only ever got him a Best Supporting Actor! And then also look at what they’ve been doing with a lot of his series, warehousing them and slotting them in graveyard slots. Do you still think TVB has properly appreciated him? i’m sure there is room for tvb to appreciate more if they haven’t already but that doesn’t take away from the fact that tvb has given michael tse more opporuntunies in the past few years in lead roles to further his acting career. It is not accurate to think so. Before you bash all the artists, do bear in mind that it is a win-win situation. Actors get fame; TVB gets money. As if TVB promotes actors out of the kindness of their heart. Also, these actors wouldn’t all leave TVB if TVB was a good working place. Some of them has worked for TVB 10+ years, they have already paid their dues and can leave for better working conditions. No one owes anyone anything. Except for Kevin Cheng, lol. Because TVB carried him to fame twice. But OK, he’s allowed to leave too. That sentence should be rephrased to either ‘SOME good actors become famous with TVB’ (emphasis added) or ‘actors become famous with TVB’ (the word ‘good’ is omitted). Hope you get what I mean. After all, providing opportunities does not equate to providing good results. I find that some people tend to state as a fact that Bosco outshone Michael in Omission, but in reality where’s the proof of that? Perhaps Bosco’s character was written to outshine Laughing, but unlike EU where the reaction to Laughing virtually pushed the lead characters to the background, Michael was still standing very much in the foreground after Omission. So I believe the facts are that neither of them outshone the other, and both of them did just as well as each other. Michael Tse is a good actor, far more versatile than people realise. But he got lazy with Laughing last time, and so got upstaged by Bosco. He should have expected that really, since he only got really popular because Laughing upstaged the leads in EU. I don’t really think he’s leaving because he’s so bitter about losing to Kevin, as much as timing. His contract expires now so it would be foolish to sign another long-term contract that binds him under (likely) very unfavourable terms as TVB wont to do just to wait out for the elusive Best Actor award. Why do some people tend to believe Michael got upstaged by Bosco in Omission? Just because some tabloids say so? But the facts are that Laughing remained very much in the foreground after Omission, quite a different story from EU isn’t it?